To get to Firefly Hollow Brewing (137 Center St., Bristol, Conn.), you need to squeeze through a narrow driveway that’s wedged between a gritty loading dock and railroad tracks. Eventually you come to an opening that, if you peek at the right angle, you can see the tell-tale, stainless steel brewing tanks. 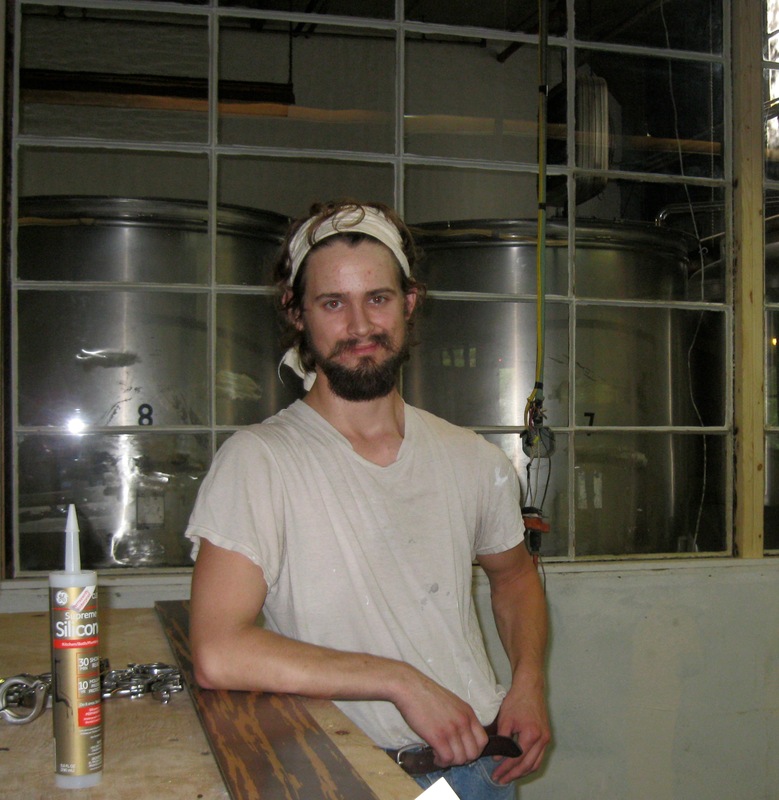 Dana Bourque, a scruffy 25-year-old wearing a white bandanna, was priming a wall when I stepped in and graciously gave me a tour of the brewery, which was only about half completed. Bourque was an employee at Brew & Wine Hobby, a homebrew and winemaking store in East Hartford, when the owners asked if he was up to the challenge of brewing for a small, local brewery. With experience brewing at Willimantic and some other breweries, Bourque was on board. The problem? They needed money. Big surprise. To raise the capital and gain a following, Firefly Hollow put out a video and started a fundraising campaign through Kickstarter, a Web site that allows businesses and individuals to raise money for their causes. The response was more generous than the brewery expected, and it allowed the partners to pay for a plumbing system and purchase equipment. Even after the Kickstarter campaign, it’s been an “uphill battle,” Bourque said. Regardless, Firefly writes on its website that it’s a “Pay It Forward endeavor.” For every dollar donated to start the brewery, Firefly will help lawn another business. Firefly hopes to selling pints from its location, where it plans to open from 4-9 p.m. on Wednesdays or Thursdays to Sundays. This entry was posted in Beer Snob and tagged Firefly Brewing. Bookmark the permalink. Sounds like a great CT local business! And I love the premise of kickstarter. Nothing better than paying it forward. I haven’t heard of a brewery using kickstarter before – great that it worked out for them!